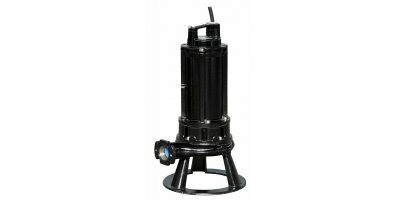 Submersible pump with cast iron casing. 10 motor sizes from 2.2 to 30 kW. Pump diameters from 50 to 80 mm. Capacity up to approx. 220 m³/hour. Horizontal or vertical installation (shown here with horizontal support leg). ER4-type centrifugal sludge and slurry pump driven by an hydraulic motor suited for flexible use in different environments and application areas.The ER4-H pump is by default equipped with a special chopper impeller with intake screw and tungsten carbide edges. Organic fibres are cut between the impeller and intake ring. PTS range of heavy duty submersible chopper pumps, ideal for particularly heavy applications featuring chopping of the solid material suspended in the liquid being pumped, including sewage pumping stations, food processing effluents, processes and industrial and many more applications. 2.2-18.5kW, 46m maximum head and 95l/sec maximum capacity. 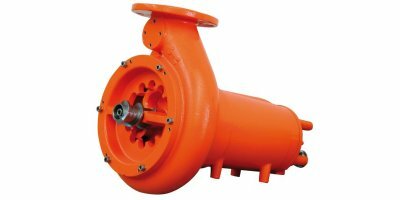 Dry-installed pump for industrial purposes, fitted with cast iron casing. 10 motor sizes from 2.2 to 30 kW. Capacity up to approx. 220 m³/hour. Horizontal or vertical installation (fixed) (shown here with horizontal support leg). 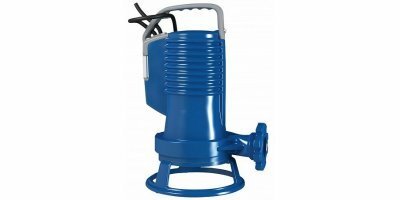 Submersible pump, all in acid-proof stainless steel. Six motor sizes from 3.0 to 18.5 Kw. Pump diameters from 80 to 105 mm. Capacity up to approx. 330 m³/hour. Horizontal or vertical installation (shown here with vertical support leg). 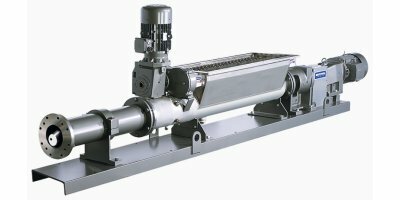 Moyno has created a food products processor that combines solids reduction and transfer pumping into one efficient unit. 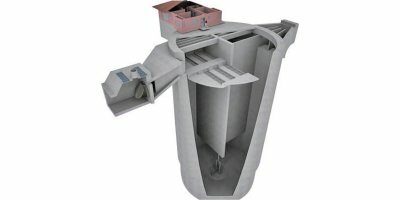 The patent pending Chopper Hopper is a unique and aggressive solids reduction pumping system that reduces whole produce - papayas, pineapples, pumpkins or any other fruits or vegetables - into an easy to handle puree or mash. 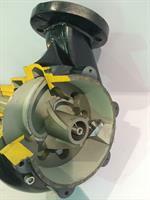 Multi-channel impeller and double chopping system. Chopping system and anti-clogging screw; Max capacity: 160 m³/h (705 US gpm); Head: 46 m (151 ft); Motor power: 2,2 - 18,5 kW (3 - 26 HP); Suction: 100 mm (4 inches); Discharge: 80 mm (3 1/ 8 inches). 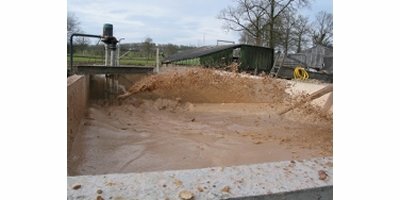 Vaughan's Rotamix system is the world's most reliable cost effective means of mechanical hydraulic mixing for sludge tanks, digesters and other high-volume applications.